I should have posted this earlier. On 5 April, at the tail end of my field work period in Hong Kong, I was interviewed by a bunch of people I had interviewed for my PhD project. They had all finished theological training at Chung Chi Divinity School (崇基學院神學院) in Sha Tin, Hong Kong and were mostly associated with a progressive church movement known as Narrow Road Church (路小教會). I made most of my interviewees, including the theologically and socially conservative ones, aware that I had this interview in my schedule, and most were fine with it, which speaks to a good level of civil discourse among Christians who might disagree otherwise on various issues. I went to their studio at HK Reporter in Wan Chai, where they interviewed me for about an hour on my PhD work. We talked about practicing cultural geography, social conservatism among Chinese Christians, and the idea that Chinese Christian activism might take place along multiple subjectivities. The comments are fun to consider too. The most frequent comment was that my accent is Singaporean and that the hosts had mistaken me for a joksing (“flying bamboo”) North American Chinese. They need to read my post with Schema. I am open to engaging people from a variety of perspectives about these interviews that I’ve done, and I am happy to be corrected or given alternative perspectives as I develop my thoughts and write them up. Schema: Just Another Chinese Christian? I recently had the privilege to contribute to Schema Magazine’s “But Where Are You Really From?” series. The series asks writers to write a real answer to a question series that’s posed to persons of various ethnic backgrounds in North America. Q: Oh, but where are you really from? 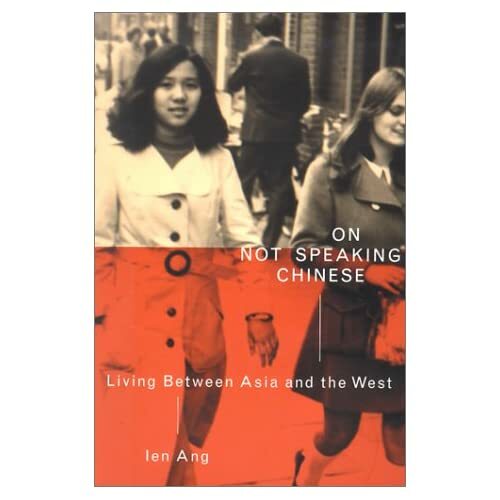 They don’t mention it, but this question series was made apparent in academia through the work of cultural studies scholar Ien Ang in a discussion of multiculturalism in On Not Speaking Chinese. My answer was titled “Just Another Chinese Christian?” In many ways, this is a popular positionality piece for the research I’ve been conducting for my doctorate. In the piece, I deal with my upbringing in Northern California, the diversity of religious communities of which I’ve been a part, and the multiple understandings of Chineseness at play in my life. The photo credit goes to my uncle in Hong Kong, Yung Wai Leung. Thanks, Goo Jeung! Enjoy, and if you feel so called, contribute your own answer to Schema Magazine! The editors there, particularly Beth Hong and Sadiya Ansari, who both helped so much with the fine-tuning, are awesome!